Nature is the first economic model of our planet. Respecting nature in CHAPELLE de NOVILIS means applying organic farming methods: no chemicals on our soil, on our plants, in our vats and in our barrels. Practicing organic agriculture means weeding without herbicides, mechanically in our old vines and manually in our baby wines, it means using natural products to treat diseases of the vine. 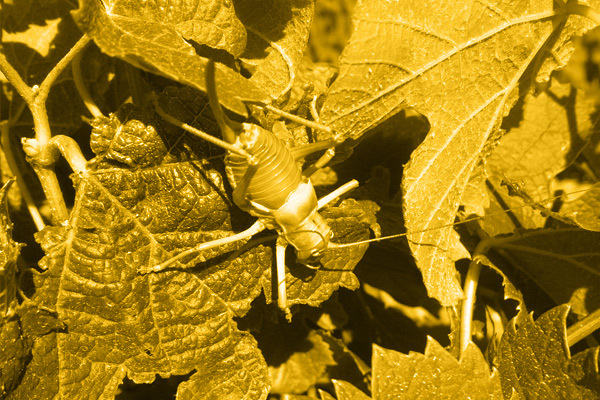 Our requirements go beyond the respect of the specifications imposed by organic farming: our soils are fed with sheep’s manure and grape marc compost; We practice sexual confusion against a butterfly named Eudemis, which lays its eggs on grape berries and whose larvae (worms of the bunch), by piercing the bay, cause the rotting of the bunch. Since 2017, we plant specific legumes between rows of vines in order to allow, thanks to the deep rooting of these plants, depth aeration of the soil, naturally, and thus develop biological life there; These same plants, on their aerial part, capture the carbon of the air. 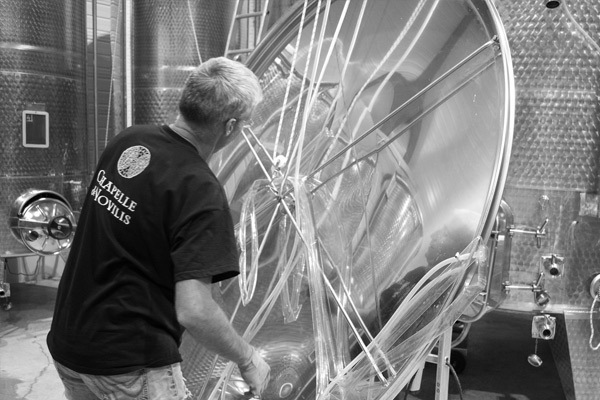 CHAPELLE de NOVILIS practices sustainable viticulture certified Organic Agriculture (AB) and is still looking to go further. Labelled High Environmental Value (HEV), supported by the Conservatoire des Espaces Naturels, the Occitanie Region, the Federation of Geographical Protected Indications and the Water Agency, CHAPELLE de NOVILIS is committed to biodiversity, Water and sustainable development through the implementation of action plans. restoring natural environments and biodiversity on our farm: replanting local natural hedges species that will serve as corridors for wildlife, preserving the flora near the plots for insects, keeping plots of natural grassland for flora and fauna (insects, birds, hares, etc.). 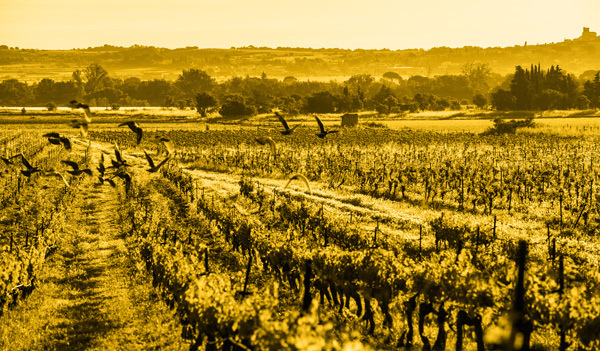 The aim is to protect an entire ecosystem whose vineyard will benefit from the presence of auxiliary insects of culture (called auxiliaries of culture because these insects, predators of other insect pests, help us to protect our vines while respecting the ecosystem). In the 1960s, the chemical industry distilled into the minds of farmers the idea that soil was only a support for the plant. However, the soil is a slow and wonderful digestive system, inhabited by an extremely complex multitude of living organisms (worms, insects, bacteria) linked together, totally interdependent. This complex is built in a chain of life that nature nourishes naturally. we offer our soils organic matter to keep them alive and allow them after their digestion process (transformation of organic matter into mineral matter) to feed our ally: the entire micro flora. It is also this chain of life that will take charge, in its finality to bring to our vines potassium, sodium, magnesium, iron … which it needs, quite naturally. Only a vine that draws its vital minerals and trace elements into a living soil can offer its grapes a magnificent qualitative expression. 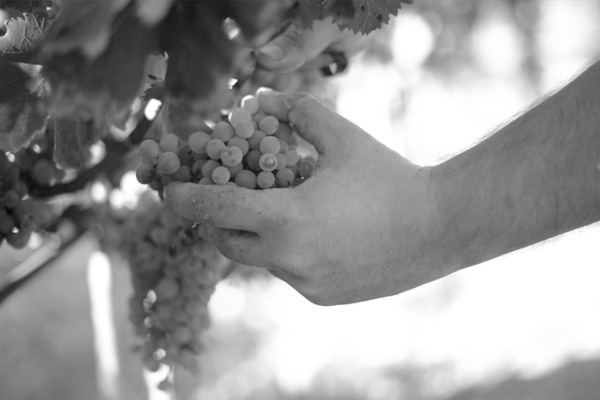 At CHAPELLE de NOVILIS, we do our utmost to extract the quintessence of the grapes which is brought to the cellar at harvest time, without maltreating it. The fragile grape varieties are harvested by hand in small 15 kg boxes. The harvest by hand allows us to eliminate any damaged grain with a small chisel without breaking any berry. This slow and meticulous process requires a great deal of manpower, but ensures perfectly healthy grapes into our tanks, thus ensures an extremely pure expression of the aromas. The grape boxes for our white wines and our rosé wines are stored one night in a refrigerated truck at 4 ° C. This very low temperature makes possible, at the time of pressing, to optimally and naturally conserve the very fragile aroma of these very lightly coloured juices. The pressing is done in the absence of oxygen, which naturally protects the juices from oxidation. The fermentation takes place at a very low and controlled temperature, which again allowing optimally and naturally preservation of the aromatic. Each grape variety is fermented separately in stainless steel tanks, except for our rosé, obligation to ferment white and red grape juice together, or directly in barrels for our Marsanne. In order to control its environmental footprint, CHAPELLE de NOVILIS has provided its entire building with energy-efficient equipment. The exterior and interior lighting of the entire building -wine cellar, cellar, cellar, office, storage …- also meets the specifications of economy and durability since they are all equipped with very low consumption lights. This material is healthy, durable and very easy to clean, which reduces our water consumption. In order to drastically limit our consumption of soda – used to descale the tanks, CHAPELLE de NOVILIS uses a high-pressure cleaner equipped with a system of heating water at 100°C (212 ° F). No chemicals are used to clean common (toilets, sinks, floors, walls): everything is cleaned with very hot water. Our cellar effluents are collected in a specific tank to be reprocessed by a specialized company. 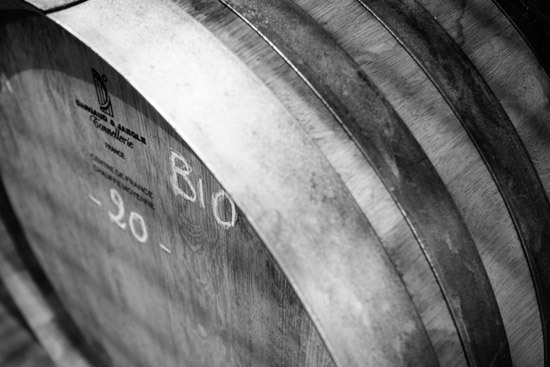 As for our barrels, they come from oaks grown in French forests only.